For photographic reasons I kept the burrata whole as, once the shell is broken, the creamy innards don’t look hugely appetising. However, they taste divine so it’s best to ignore the guano-like mess. For once I have shown a measure of restraint by stipulating only one burrata to serve four people. That being said, on a greedy day I might well advise two milky white spheres for four-it’s your call. Without the burrata the chilled vichyssoise could be poured into a thermos and served at a picnic-or in little shot glasses for a drinks party. Heat the oil in a large saucepan and add the shallots and potato. Stir over a low heat for 10 minutes. Pour in the stock and bring to the boil. Turn the heat down and simmer for 15 minutes. 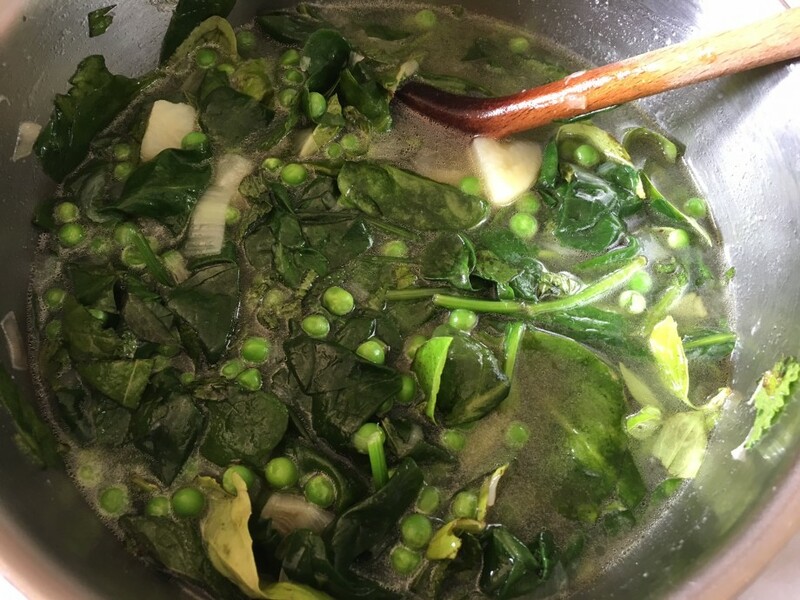 Add the petits pois, spinach and herbs and cook for 2-3 minutes. Take off the heat and leave to cool. 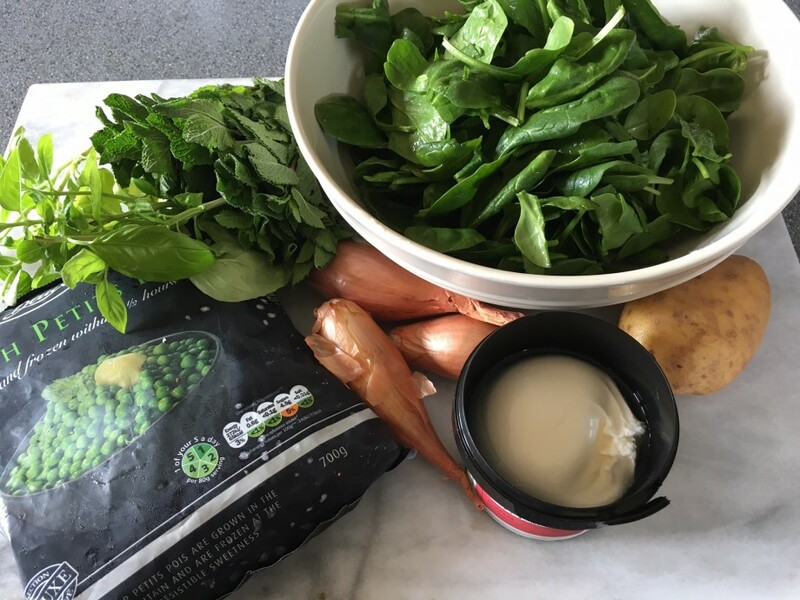 This brief cooking will ensure the vichyssoise stays a vivid green colour. Liquidise the vichyssoise and taste and season with salt and ground black pepper. Chill for 2-3 hours. 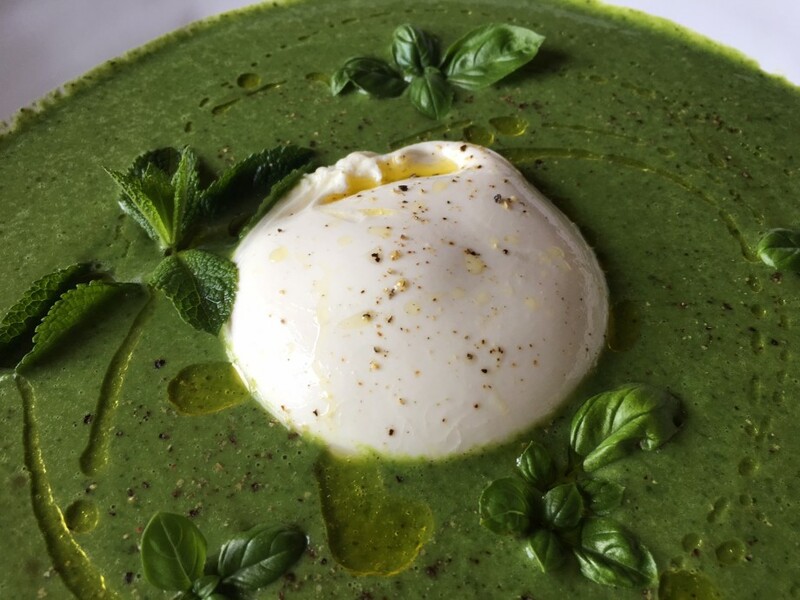 To serve, pour the vichyssoise into bowls and float a good tablespoon of the burrata in the centre of each bowl. Drizzle with a little olive oil.